Safety Coated Clear Jugs with molded finger grips are the perfect storage solution. 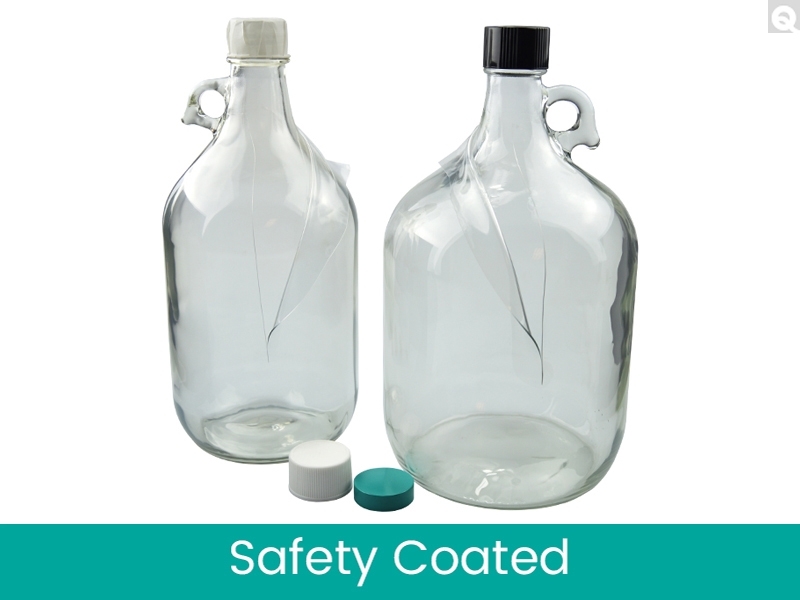 These jugs are slip and impact resistant, making them the perfect bottle for handling volatile substances. Choose from jugs with attached Green Thermoset F217 & PTFE Lined Caps, White PP F422 HDPE Foam Lined Caps or jugs only.